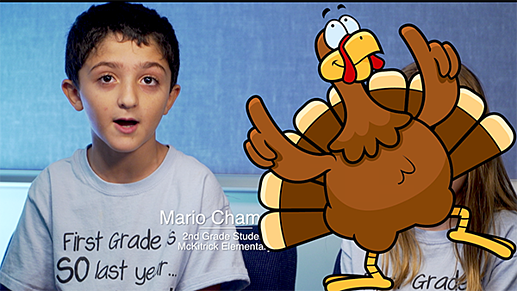 It’s even more powerful to hear 2nd grader, Mario Chamoun, explain the entire rewards process that kept him motivated, from cookies and a drink to a Native American dream catcher to Top Turkey itself. If you’re wondering how MobyMax meshes these appealing contests with actual learning, don’t miss the interview with Monica Contreras, who describes the process clearly and concisely. “We put together a MobyMax committee this year. We have a person from each grade level that is a MobyMax champion.” Committee members meet to discuss the contests they’re running and the goals for students. Then the champions train their peers so everyone gets on board. 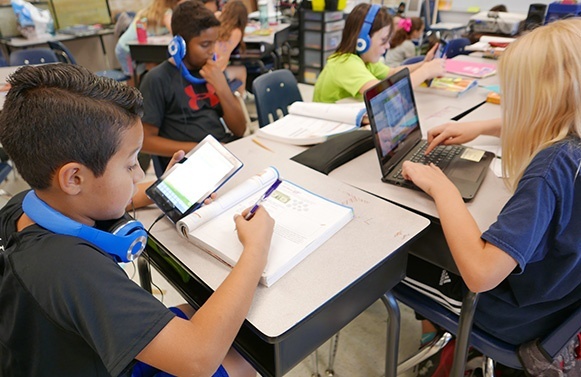 “I’ve been in classrooms and I’ve watched them…we use blended learning a lot, and as they go through the rotations, they’re excited and motivated to complete the activities, which is what you want,” Cline notes. As the video footage of happy, engrossed students shows, that’s exactly what is happening when they’re learning using MobyMax.